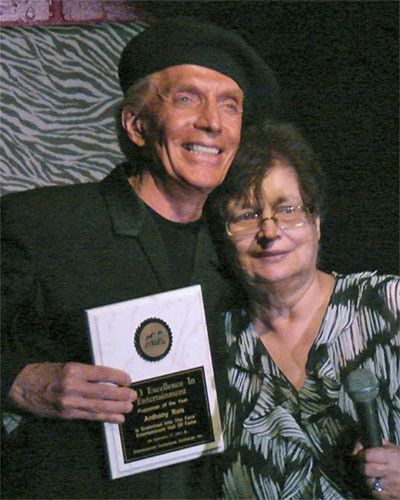 Master Puppeteer Anthony Rais has been performing for decades on The Las Vegas Strip and around the world. His most popular marionette is Totolino—his lifelike expressions and details have tugged the hearts of audiences everywhere. 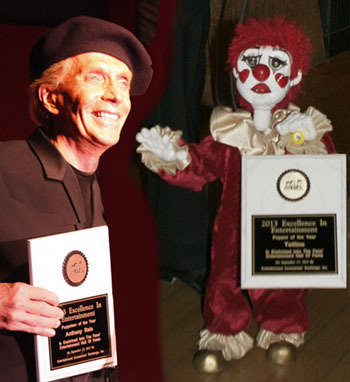 Therfore both were honored; Anthony as Puppeteer and Totolino as Puppet of The Year 2013 and both were enshrined into the Fan’s Entertainment Hall of Fame. Zee Matulonis, President of Entertainment Consumers’ Exchange, Inc.
Anthony Rais & Totolino performing.